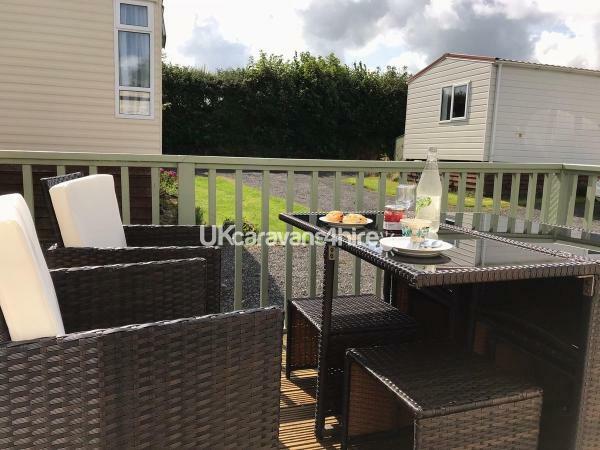 £50 deposit payable within 7 days of booking please, with balance to be paid 6 weeks before your stay. Adult only groups - minimum age must be 18 years. Please indicate children's ages for inclusion on the booking form. 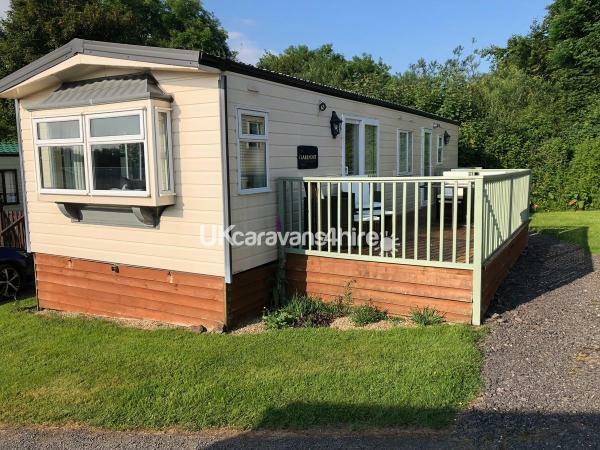 Our holiday home is sited on the Country View area of Smytham Manor, and is comfortable and spacious, having 2 new free standing sofas in the lounge, recovered dining chairs and new curtains and blinds throughout. 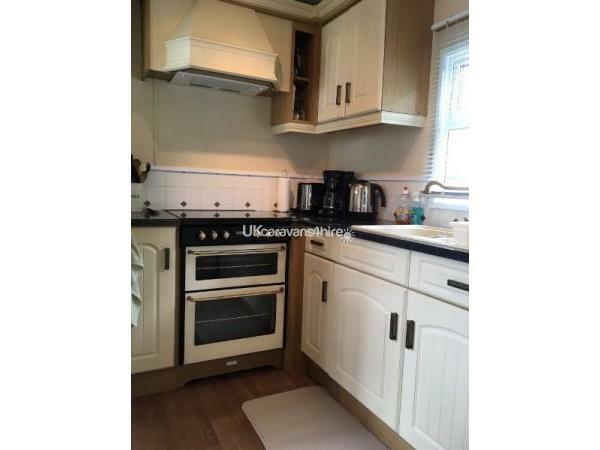 The kitchen area has a full size fridge/freezer and gas oven/hob and is fully equipped with everything you need if you like cooking and baking! 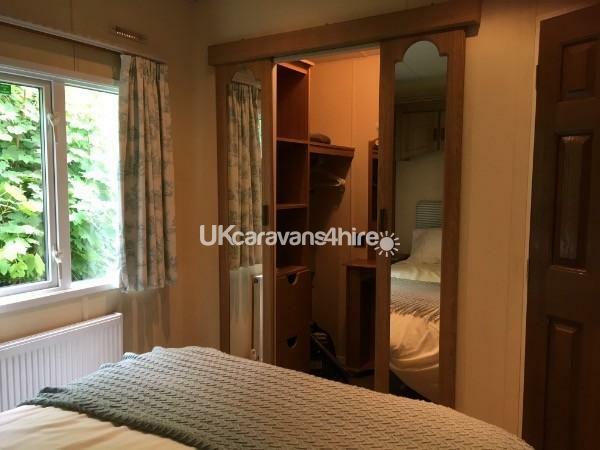 The master bedroom has plenty of storage, including mirrored doors to a walk in wardrobe with hanging space, shelving and drawers, hairdryer and electric socket. 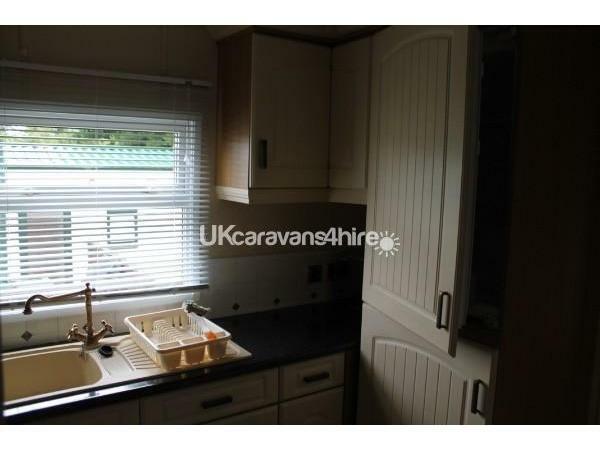 There is also an ensuite toilet and sink. 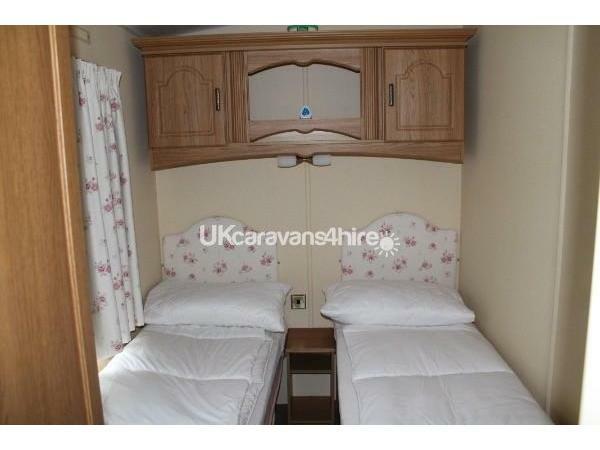 The twin bedroom has single beds, overhead storage and single wardrobe. 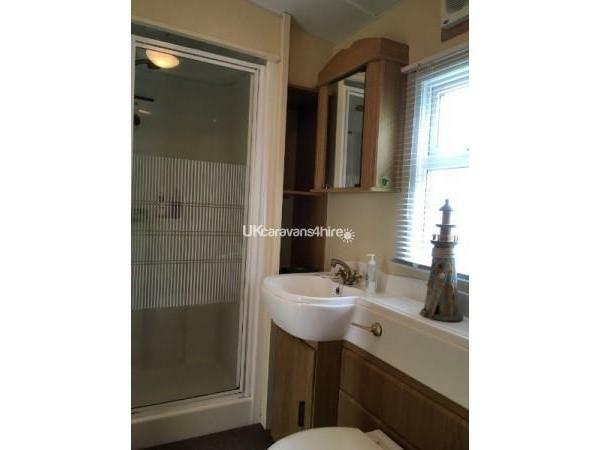 The large bathroom has bath, toilet, sink, shower cubicle, over sink cupboard and shelving. We have now decided to allow small dogs in the van; please enquire on booking. There is a new dining set for this summer and a parasol in the cycle storage; there is room for 2-3 cycles if you wish to bring them. 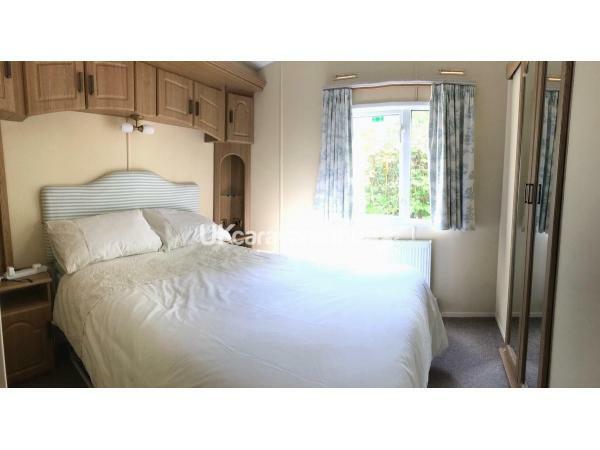 All you need to bring is bed linen and towels to enjoy a relaxing stay in beautiful North Devon! The park has a heated outdoor swimming pool, children's play area, games room and a small bar (opening times change seasonally). There's a shop within the Reception where you can buy essential items, ice creams etc. Great Torrington is 2 1/2 miles away, with a good choice of local shops (we like to use Lidl for food shopping) and RHS Rosemoor is on the way. 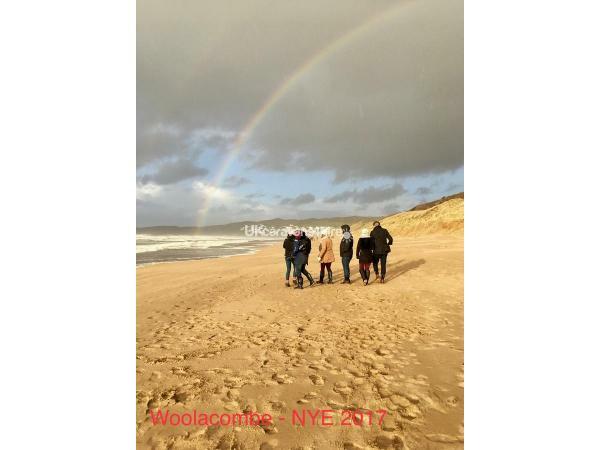 There is plenty to do and explore - we regularly use Woolacombe beaches, Bideford and Clovelly are easily accessible, we enjoy walking and cycling on the Tarka Trail and also shopping in Barnstaple, nearby Great Torrington and even Exeter. The outlet shopping centre of Atlantic Village is less than 20 minute drive away. Relaxing on the veranda is also a good option! Additional Info: Direct access to Tarka Trail, great for walking and cycling. The park has a heated outdoor swimming pool, children's play area, games room and a small bar (opening times change seasonally). There's a shop within the Reception where you can buy essential items, ice creams etc. 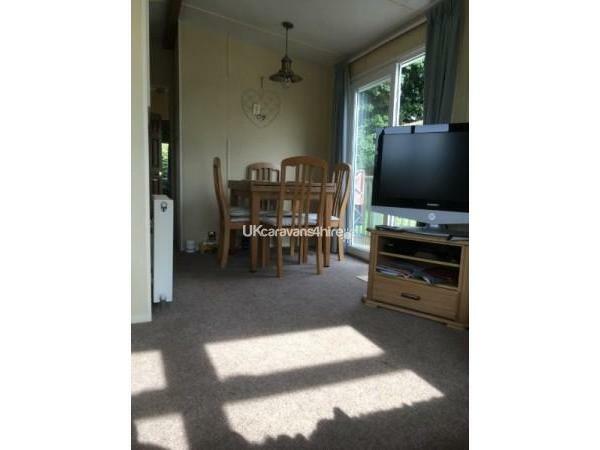 Lovely clean and tidy caravan with enough utensils and equipment to start a shop! The van was easy to find and the owner was quick to reply to any query we had. Thanks for a great stay! Loved the area, lots to do with small children, whether on a rainy or sunny day; loved the caravan which was spotless and nicely arranged, with all the useful utensils available that one might need; loved the campsite with its facilities, access to walks and the games room - great for a game of table tennis on a rainy evening. Thank you for a perfect week away! Communication with owner was excellent. 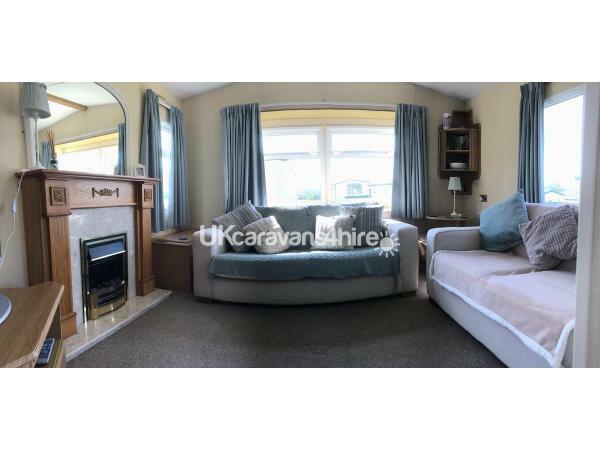 Lovely clean comfortable caravan, very well equipped,in a lovely rural setting. We had a lovely peaceful week and didn't want to go home. Excellent value for money, will definitely recommend to others. We hope to return next year. 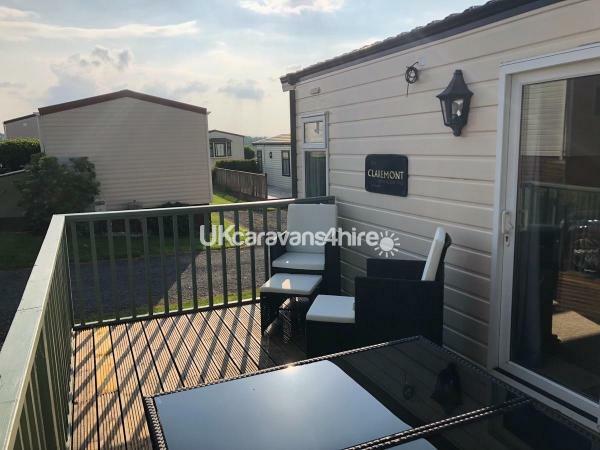 A five star caravan in an idylic rural location with easy access to the north devon and cornwall coasts. Thank you both for your review, much appreciated!